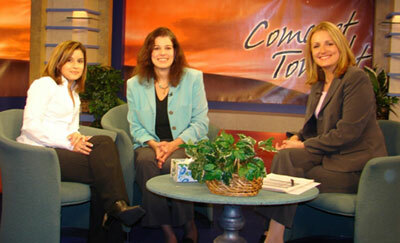 "Comcast Tonight with Janelle Wolfe" CN-8. Elizabeth was interviewed by Liv Lane, co-host of Get Real Girls/FM 107.1 and founder of Choosing Beauty (Minneapolis, MN). Brad Christman is the News Director for Radio Pennsylvania Network. He has won multiple statewide and national awards in the three years in which he has produced "Eerie, Pennsylvania". Both the Associated Press and the National Association of State Radio Networks have honored his work. The "Eerie, Pennsylvania" radio documentary was a 2nd place winner in the National Headliner Awards Contest in 2008. (This contest is sponsored by the Atlantic City Press Club which was established in 1935). Elizabeth was featured in Local Living Magazine with a wonderful article on" Who Do You Think You Are? Revealing Paths to your Past and Beyond" by Sharyl Volpe. Sharyl covers Elizabeth's spiritual work with "Once in Touch, Always in Touch." "More Ghosts in the "Ville" tells spooky tales"
Elizabeth worked with local author, Jeffrey A. Wargo and had the honor of writing the forward to his new book titled, More Ghosts in the 'Ville." She highly recommends this reading for anyone who is interested in the local history and hauntings of Riegelsville, PA. Article Titled: "Spiritual Medium Provides Gift of Comfort"
Article Titled: "Psychics will teach audience ways to speak to others beyond the veil".